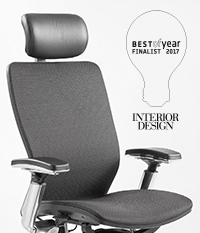 Nightingale’s IC2® chair has been selected as a contract/task seating finalist in Interior Design’s 2017 Best of Year (BoY) awards. The BoY is the design industry’s premiere design awards program, celebrating the most significant work of the year and recognizing designers, architects, and manufacturers worldwide. It’s an exciting time for Nightingale’s innovative design team—they’re honored to be selected out of thousands of nominees to potentially receive the most highly regarded awards program in the industry.